Eating healthy encompasses more than just the type of food you’re eating. You also must take into account the quality of the food that you’re eating. Not all fruits and vegetables are created equal because some may have more toxins than others. It’s all about how the foods are cultivated. 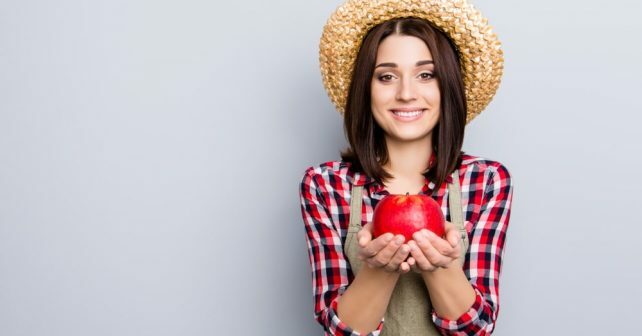 Society is becoming more aware of that fact and paying more attention to how farmers are growing their foods and how they’re treating their animals. That’s where the hype about organic foods and non-GMO foods are coming. People don’t want to eat vegetables that are covered in pesticides or any other chemicals. With new genetic discoveries, certain foods are also genetically modified. That’s a method used to make them grow faster, taste better, or get bigger. The new chemicals will affect your body despite the food being a healthy choice like a carrot or an apple. Therefore, farmers have been encouraged to change their methods and comply with specific requirements. Foods that earned the stamp of organic or non-GMO can be sold for more money. 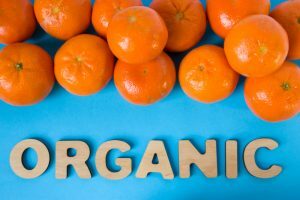 With the growing interest in organic and non-GMO foods, some people become confused about the two terms. The main thing you should know is that they’re two different labels for a reason. They mean two different things and meet different requirements. All organic foods are also required to be non-GMO. This means that the plants cannot be grown from GMO seeds, the animals cannot be fed GMO food, and they can’t use any type of GMO ingredient in their products. To market organic products, you cannot use chemical fertilizers, synthetic pesticides, and herbicides. All these products have been linked to diseases like breast cancer, leukemia and birth defects. You cannot use antibiotics and hormone in organic meat or poultry. Growth promoting antibiotics have been linked to obesity and antibiotic resistance. The increases risk of obesity is because residues of the growth hormone stay in the products and are passed on to consumers. If you’re resistant to antibiotics, there are many diseases that will become incurable to you. It’s worse when it’s the bugs that become antibiotic resistant. They are known as superbugs and are very hard to destroy. They also greatly increase the risks of developing cardiovascular diseases. You cannot use sewage sludge which is human waste contaminated with heavy metals and endocrine disruptors. Sewage sludge is known as biosolids in the agricultural world. The foods can absorb them, and there will be the residues on the products we eat. Foods that have been fertilized this way has been proven to be deadly to cows. Although there’s no evidence to show that they have any effects on the human body, it’s safe to stay away from them. You also cannot use irradiation. All livestock have to be feed with 100 percent organic foods. The label organic is regulated by the United States Department of Agriculture (USDA). They require verification to give the name to any product. A 3rd party organization does the verification through inspections, organic system plan review, and residue testing if there are suspicions about the product. Organic products are generally more expensive than non-organic products. That’s due to the large gap between supply and demand. There’s a smaller number of organic products on the market than the number of customers shopping for them. Also, the production of these products is more expensive than any other products. Non-GMO foods, on the other hand, only have one main requirement which is the lack of genetic modifications. 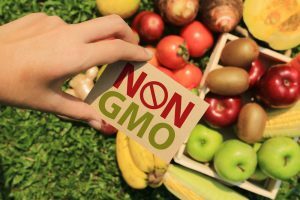 Non-GMO foods are not required to be organic, and most of them are not. The potato chips that you’re eating are probably verified as Non-GMO, but most of the ingredients in them are nowhere near organic. These products are also less regulated than organic products. They are verified through the Non-GMO project, but not by the federal government like organic products are. The Non-GMO project has only been around recently and is still too small to reach every single food factory. There have been news of manufacturers labeling their products as Non-GMOs when they are in fact made of one or more GMO ingredients. Manufacturers use the Action Threshold of 0.9 percent. This means that any product with more than 0.9 percent GMO must be labeled. They have ongoing testing of all at-risk products. For any commercially grown ingredient to be used in the verified products, they must be tested for GMO. The target goal is to have all products with absolutely no GMO traces. This goal must be primary in the manufacturers’ quality management system. Verification is done with an annual audit and on-site inspectors continuously test at-risk products. Depending on the person you ask, you’ll probably get different answers. That’s because scientific data have mixed conclusions about the amount of nutritious. When it comes to health, organic products have a lot fewer toxins than Non-GMO ones. However, no scientific studies have yet to back up a person’s belief that organic products are healthier than Non-GMO ones. Both products can contain unnecessary additives. These can be potentially dangerous to your health. That’s why it’s important to read the labels of your products regardless of the organic and Non-GMO labels. Buying organic is the only way to be sure that they lack GMOs. Non-GMO producers mainly focus their efforts on common meat and processed foods. Fresh foods such as vegetables and fruits are not verified as Non-GMO or not. It’s also important to note that products that do have GMO are safe to eat. They have no detrimental effects on your health. They also don’t harm the environment as much as many people believe. If you’re a person who’s serious about their health, you probably only shop for the most organically produced item. Now, you know not to be fooled by the Non-GMO labels. These two labels are not used interchangeably. Pay attention to the differences and decide what you’re sincerely hoping to get out of your foods.